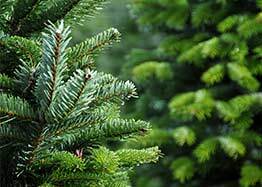 Live trees, spruce and firs, perfect for your home or business. 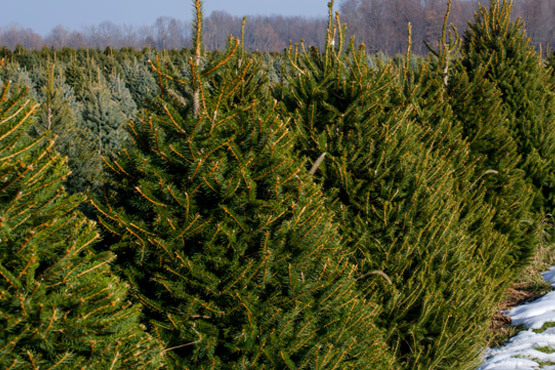 We'll provide the perfect tree, plus we'll expertly trim it, shake it, bale/bind it, and load it on or in your vehicle for you... All for one low price. Whispering Pines Christmas Tree Farm in Flushing fills a unique need in the Christmas tree shoppers experience. We are not a "Cut it yourself" tree farm. We are not like the many Christmas tree sellers at department store parking lots. What we do is very different. We know it works because of the 90% of return customers we have year after year. So what do we do? We offer a fast, fresh and friendly approach. 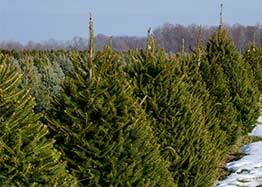 As you arrive at our Mt Morris rd location in Flushing, and park your vehicle, you have your choice of two easy ways to select the perfect Christmas tree for your home or business. Option 1: We have several trees in a variety of sizes that we have already freshly cut the same day and are ready for you to take home after we shake and bale them for you. Option 2: If you don't see exactly what you're looking for quickly, tell us what you want. We'll go into our live intentory, select a few that meet your description, we'll cut them and bring them back for you to see. Pick whichever one you want. We'll go back and find another if we didn't get it right the first time. 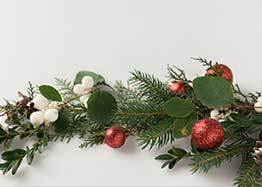 At no time are you obligated to purchase a tree until it's perfect for you. Fast, fresh, friendly and affordable. 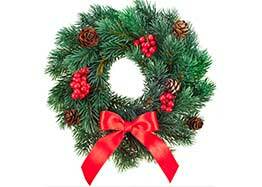 Whispering Pines Christmas Tree Farm wants to make your experience as pleasurable as possible. Our story begins when Lewis and Sophia Fras purchased the property we still use today in 1946. At that time, it was basically brush and swamp. With significant effort, they cleared the land and the swamps were made into two ponds. The ground was mostly sand, not conducive to producing grain or other popular cash crops. With a background in fruit farming, Lewis planted a small orchard with apples and tart cherries, along with some raspberries and strawberries. He also planted some pine trees: Scotch and White Pine, as well as Norway Spruce. Over the years he added Douglas and Concolor Fir and Blue Spruce. Of his four sons, only Fred remained a part of the business. In 1990 Fred bought the farm from the other family members. Today, Fred's son and grandson, John and J.T., are also involved with the operation. 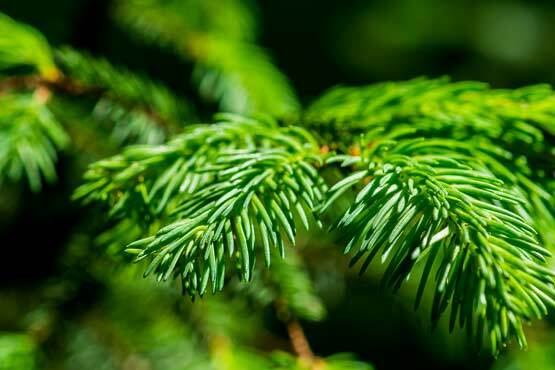 Today the farm sells Fraser, Canaan, Concolor, and Douglas Fir, White Pine, Blue, Norway and White Spruce. All trees are freshly cut daily, or cut to your specifications.